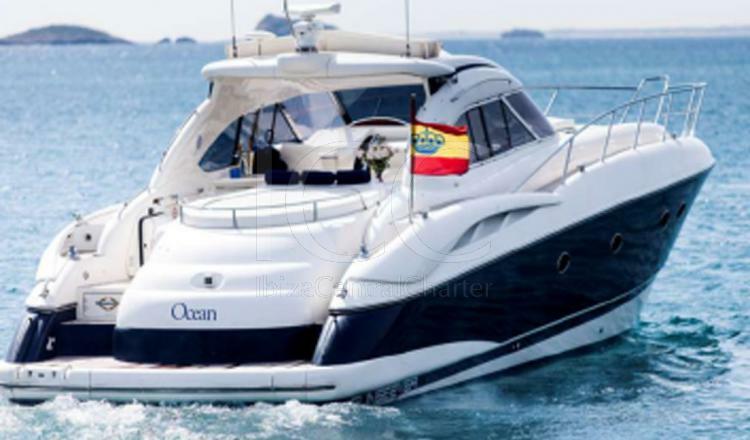 Perfect luxurious yacht to enjoy the best beaches of Ibiza and Formentera with your family or friends. 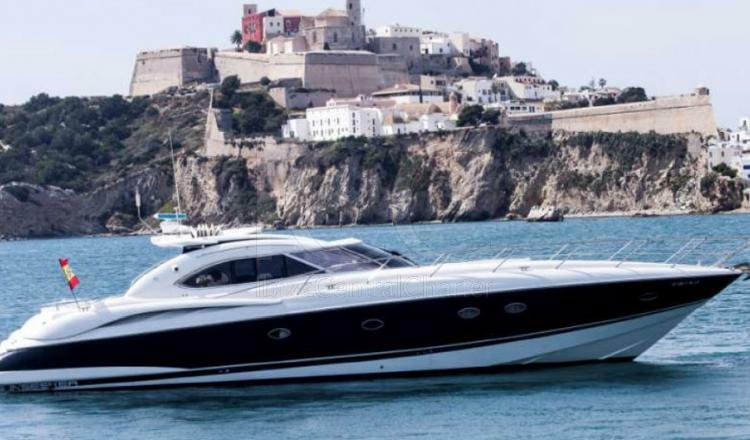 This PREDATOR 58 of 17 meters in length of the well-known shipyard Sunseeker is one of the most demanded rental yachts in Ibiza and Formentera. It is characterized by its open design that offers greater space and speed in addition to the greater comfort that can be desired. 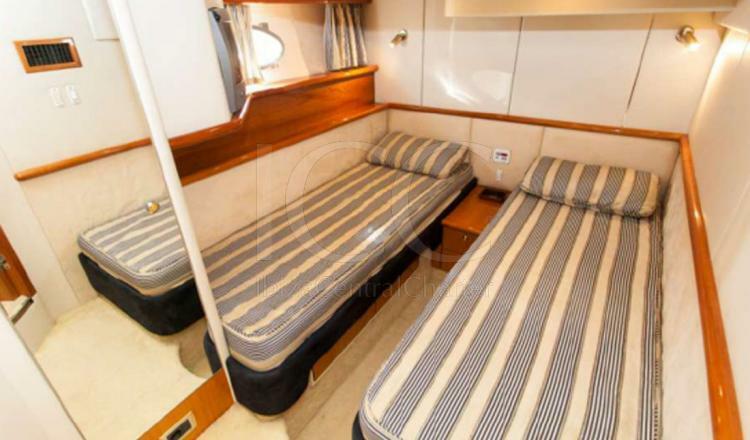 Inside it has 3 spacious and very bright cabins of which two have a large bed and the third with single beds, offering accommodation for 6 people during the night. 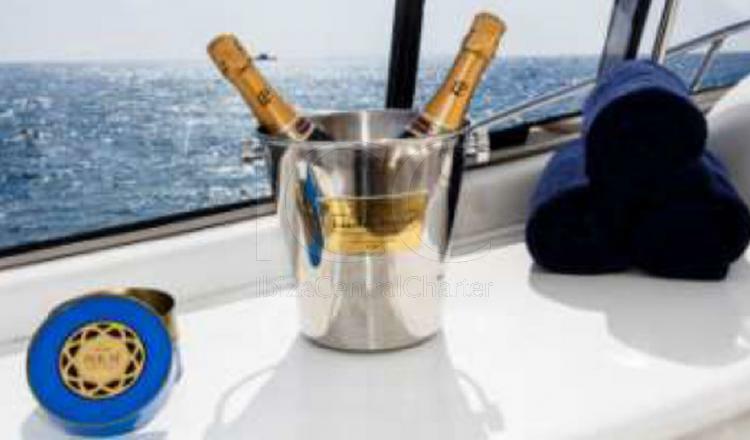 In addition, the cabins come fully equipped. It has a lounge where furniture is combined with light colors in an elegant way. 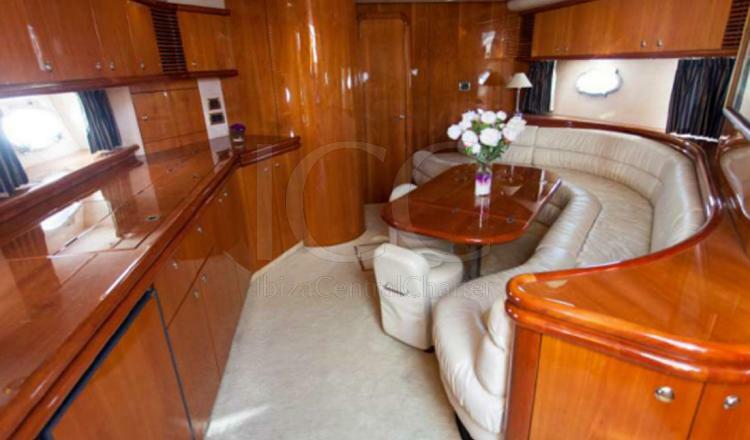 In which is an extensive sofa with a dining table and a fully equipped kitchen to enjoy lunch or dinner on board in the best company. 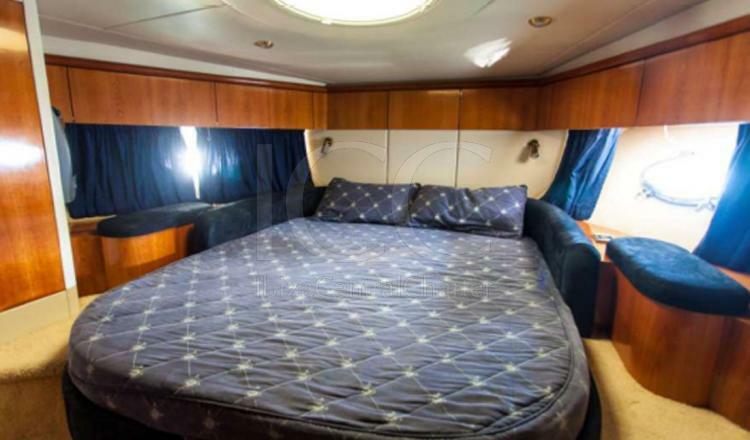 On the outside of the boat we find several areas for relaxation and rest. 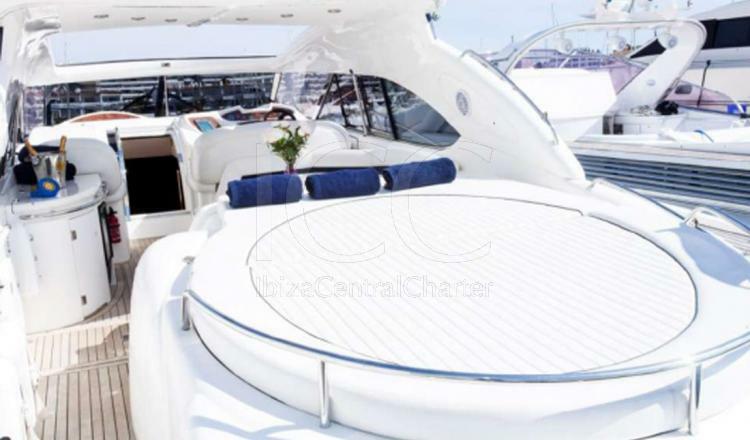 It offers two solariums where you can relax to sunbathe and a magnificent dinette accompanied with a bar furniture ideal to enjoy an aperitif outdoors. 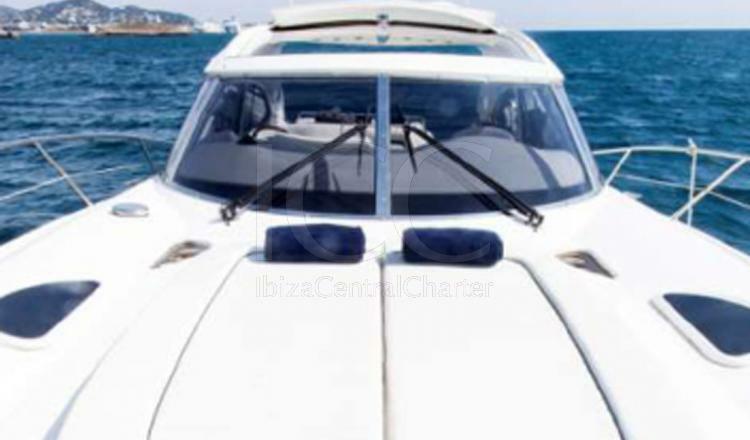 You will also have the service of an attentive and professional captain on board ready to receive and accompany you on your holidays in the islands. 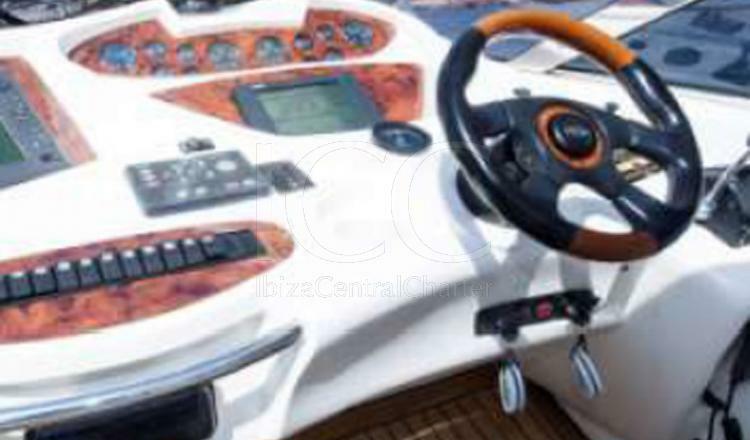 - Mooring at Marina Ibiza.